Trump Threatens the Independence of DOJ? Let’s Hope So! Put aside the fact that Voxers apparently can’t spell. The idea that the Department of Justice is “independent” of the president is ludicrous. It is part of the Executive Branch, which the President runs. See Article II of the Constitution. The President appoints the Attorney General, and DOJ reports to the president just as other federal agencies do. The President sets policies to be executed by DOJ, and his Attorney General and the AG’s subordinates carry them out. What is going on here? Constitutional illiteracy, to be sure. But also, an open expression of the view that the federal bureaucracy–the fourth branch, the administrative state–not only is, but ought to be a fifth column whenever the President is a Republican. For the Left, obstruction of the President’s policies by his subordinates is a positive virtue, as long as the President is a Republican. That’s what happens, I guess, when your oldest employee is 26. No one has heard of the National Recovery Administration. Still, the illiterates are probably having the last laugh. 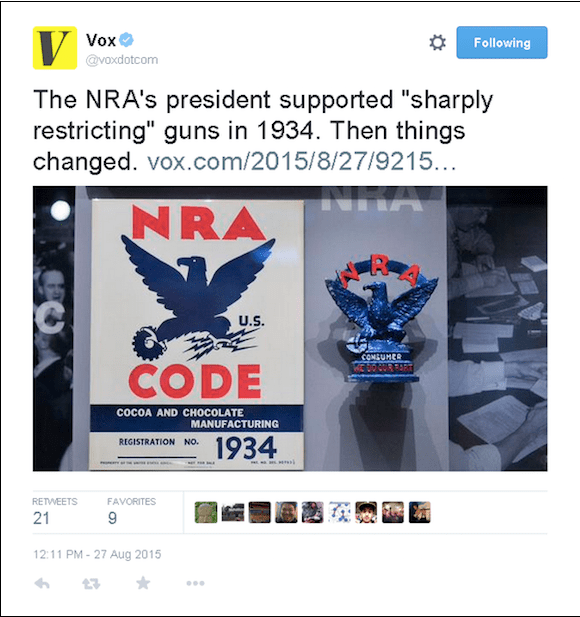 NBC reportedly invested $200 million in Vox. So the goofballs who run the site have no doubt made out like bandits, no matter how pathetic their work is. And NBC has probably gotten what it wanted, another money-losing venue to promote leftism.